As the outside temperature varies, it may affect our room temperature. So there is a need for technique to control the temperature of the room even if the outside temperature varies. 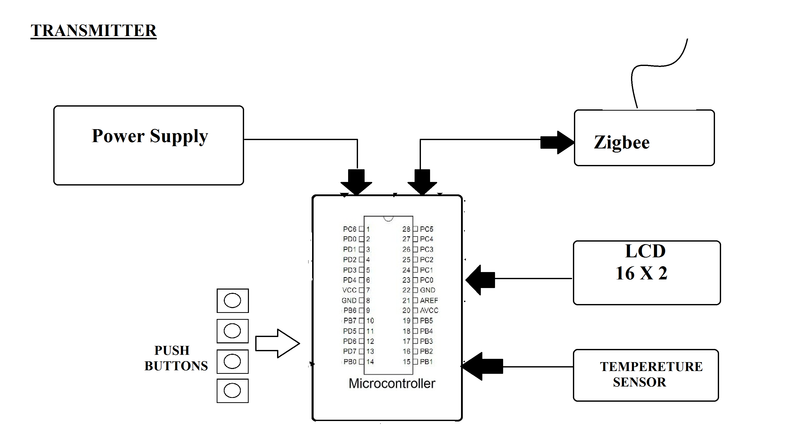 Our project Zigbee based Room Temperature Controller Using Atmega Microcontroller overcomes this problem. 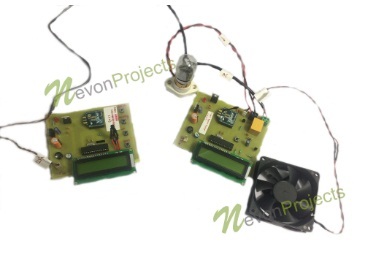 In this project there are two board having bidirectional communication between them. 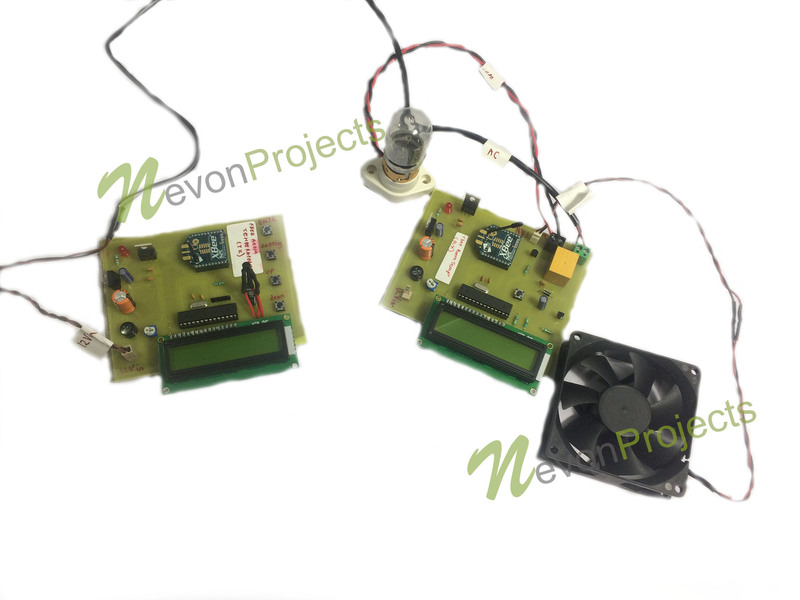 One board is used to remotely set the desire temperature limit and display the temperature and the second board use 2 loads and temperature sensor. 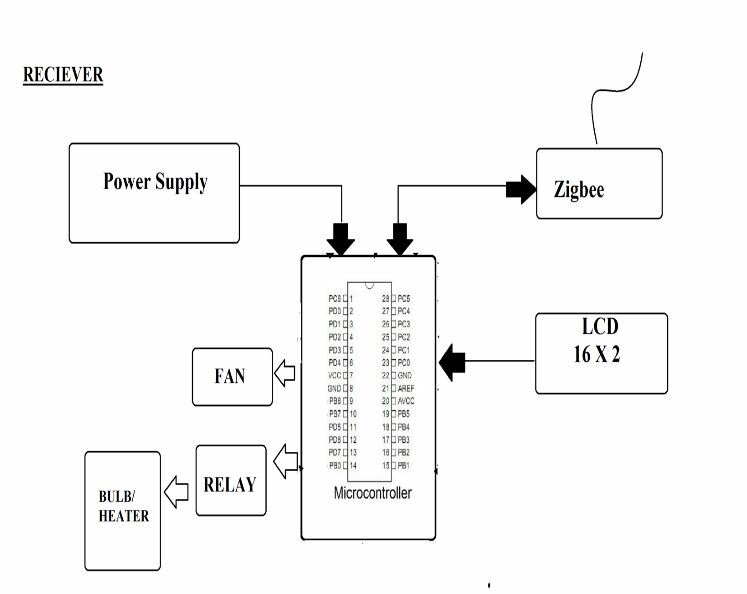 It uses bulb to detect heater and fan to detect cooler. 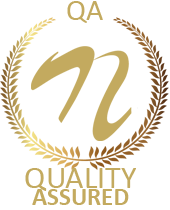 The system allows to maintain a specific temperature limit by continuously switching between heater and cooler i.e., by alternatively turning ON/OFF the bulb and the fan. Once the system is turned ON, the remote board displays the set temperature limit on the LCD screen. 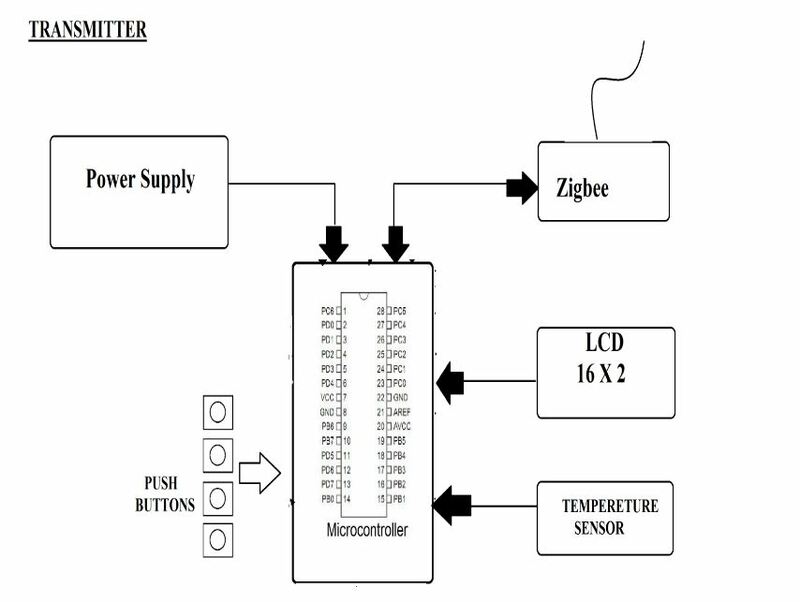 The system also includes 4 push buttons for enter, back, increasing or decreasing the temperature. If the room temperature goes below the set limit, the system turns ON the bulb. Same way if the room temperature goes above the set temperature limit, the system turns ON the cooler. 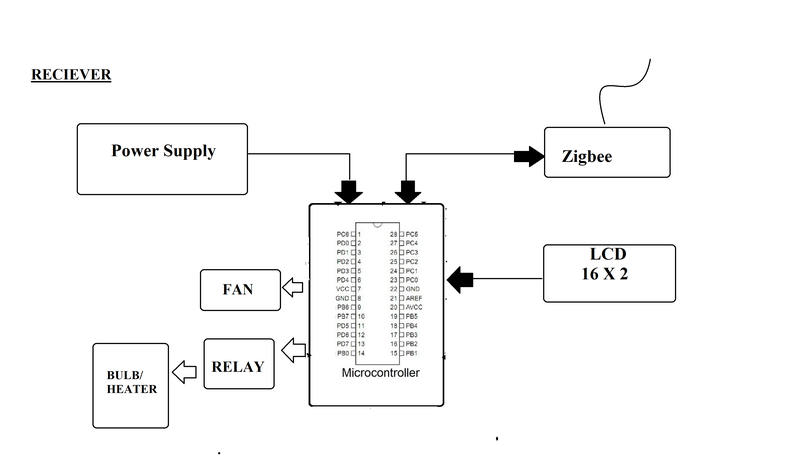 Thus by switching between the fan and the bulb, the system tries to maintain the set temperature limit that is being set by the user automatically.